le chaudron de vulcain – January 27 , 2018. EN. Mayon , Kusatsu-Shiranesan , Mauna Loa , Kadovar , Karymsky . Home / blog georges Vitton / January 27 , 2018. EN. Mayon , Kusatsu-Shiranesan , Mauna Loa , Kadovar , Karymsky . MAYON VOLCANO BULLETIN , 27 January 2018 , 08:00 AM . 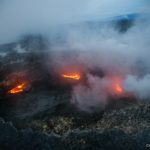 Between 06:26 AM to 01:40 PM yesterday, three (3) episodes of sporadic lava fountaining from the summit crater lasting twenty-four (24) minutes to forty (40) minutes occurred. The lava fountains generated ash plumes that reached 3 kilometers above the crater. The events fed lava flows on the Mi-isi and Bonga Gullies, sprayed near-vent lava spatter, and fed rockfall on the summit area. Only one (1) pyroclastic density current or PDC on the Miisi Gully was observed. Lava fountaining episodes transitioned into aseismic lava effusion in the early evening, feeding incandescent lava flows on the Bonga and Miisi Gullies, the former of which advanced significantly downslope. 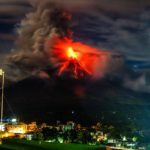 A total of ten (10) volcanic earthquakes, twenty-one (21) tremor events, three (3) of which correspond to the lava fountaining events, one (1) PDC from lava collapse, and twenty-one (21) rockfall events were recorded by Mayon’s seismic monitoring network. Rockfall events were generated by the collapsing lava front and margins of the advancing lava flow on the Bonga and Miisi Gullies. 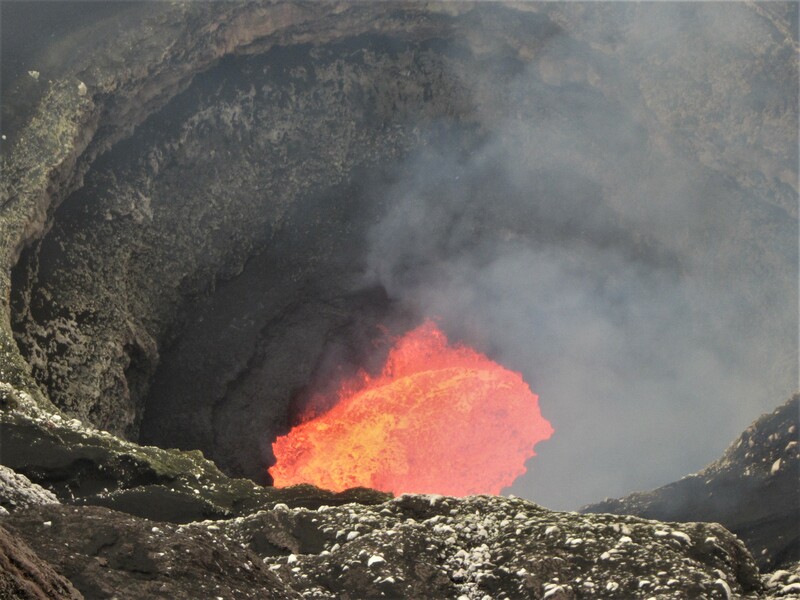 Currently, the Miisi and Bonga lava flows have maintained their advance to three (3) and 1.8 kilometers, respectively, from the summit crater. Sulfur dioxide gas emission was measured at an average of 1,916 tonnes/day on 25 January 2018. Electronic tilt and continuous GPS measurements indicate a sustained swelling or inflation of the edifice since November and October 2017, consistent with pressurization by magmatic intrusion. 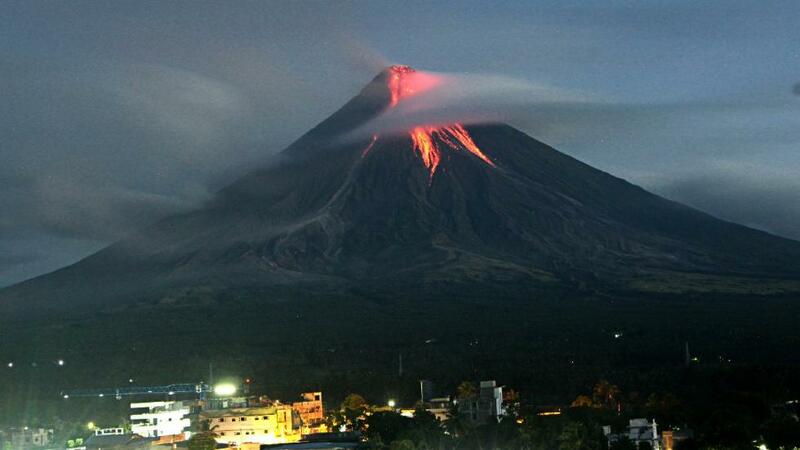 Alert Level 4 remains in effect over Mayon Volcano. The public is strongly advised to be vigilant and desist from entering the eight (8) kilometer-radius danger zone, and to be additionally vigilant against pyroclastic density currents, lahars and sediment-laden streamflows along channels draining the edifice. 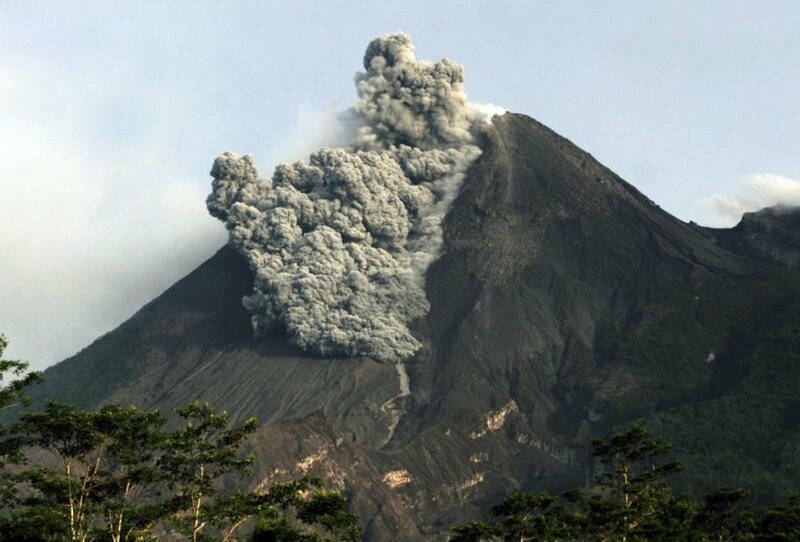 Civil aviation authorities must also advise pilots to avoid flying close to the volcano’s summit as ash from any sudden eruption can be hazardous to aircraft. DOST-PHIVOLCS maintains close monitoring of Mayon Volcano and any new development will be communicated to all concerned stakeholders. 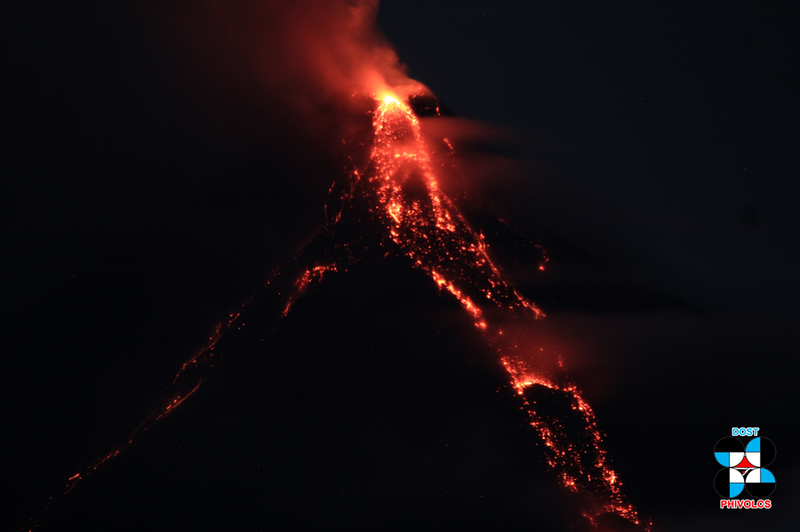 Heavy rains over the Province of Albay brought about by the tail-end of a cold front have increased the dangers of syn-eruption lahars on major channels draining the Mayon Volcano edifice that have been deposited with thick pyroclastic density current or PDC material and ashfall. The total volume of PDC deposits so far deposited on the watershed areas, mostly on the Buyuan and Miisi channel watershed, is approximately 9 million cubic meters, excluding unverified deposits on the northern flank. The total volume of ashfall on the western sector is roughly 1.5 million cubic meters. These deposits can be remobilized by rainwater and generate lahars by themselves and or by incorporating existing erodible material on channel banks. PHIVOLCS therefore warns of potential lahars and sediment-laden streamflows on all river channels draining the slopes of Mayon Volcano especially the Buyuan, Miisi, Mabinit, Basud, San Vicente, Buang, Quirangay and Masarawag-Maninila that may be generated by heavy rainfalls brought about by the cold-front. Communities and local government units beside these river systems are advised to be additionally vigilant and to move residents to high ground when heavy rains occur. Alert Level 4 remains in effect over Mayon Volcano and DOST-PHIVOLCS maintains its close monitoring of Mayon Volcano and any new development will be communicated to all concerned stakeholders. Photos : Phivolcs , Lou Xavia Lau , The Weather Channel. Satellite imagery shows possible new craters. 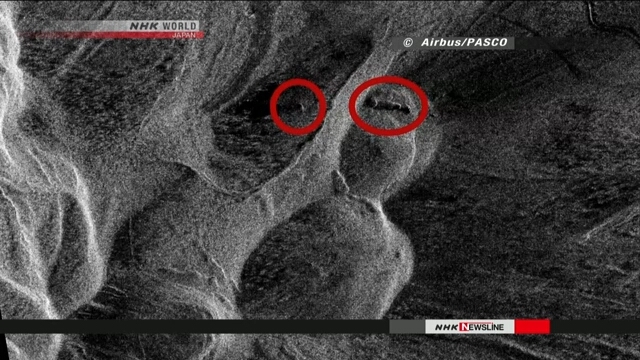 NHK has learned that satellite imagery shows possible newly formed craters on a volcano in Japan that erupted on Tuesday. Private-sector land survey company PASCO analyzed a video of Mount Kusatsu-Shirane taken by a German satellite on Wednesday. 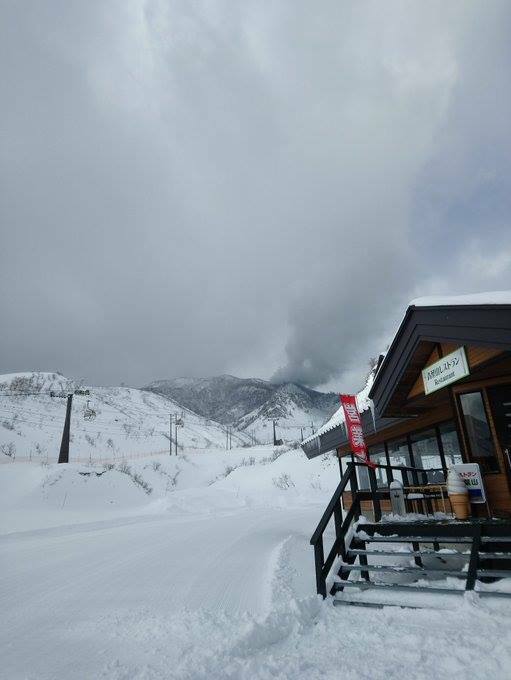 The mountain is in Gunma Prefecture, north of Tokyo. The video shows a line of multiple holes near Kagamiike pond on Motoshirane peak, where the eruption occurred. The depressions are located about 500 meters north of the pond and extend about 220 meters in a line that runs almost east-west. Each is roughly 10 to 15 meters in diameter. The firm says the holes are believed to be newly formed craters as they were not visible in footage taken 2 years ago. Another possible crater was spotted around 300 meters west of the row across a valley. The company says the hollow is only 100 meters or so from a ski lift system. University of Tokyo professor emeritus Toshitsugu Fujii says the holes are undoubtedly craters made by the eruption. He says the volcano needs to be monitored closely as the formation of the new craters in a wide area indicates they may have resulted from different eruption mechanisms. Mauna Loa Volcano is not erupting. Rates of deformation and seismicity remain above long-term background levels, but rates in the past few months have decreased compared to rates of the past year. Similar decreases have occurred in the past during the ongoing period of unrest; it is uncertain if these lower rates will persist or pick up again in the near future. A more vertical view of the whole Sulphur Cone area, including a sulphur flow out of one of the cones (yellow bottom of image). The white in the middle of the image is caused by alteration of the rock by volcanic gas. Small-magnitude earthquakes continue to occur beneath the volcano, primarily beneath the summit caldera and upper Southwest Rift Zone at depths less than 5 km (3 miles). Additional deeper seismicity at depths less than 13 km (8 miles) was scattered beneath the southeast flank of the volcano. No significant changes in volcanic gas emissions were measured. Current Activity: The eruption continues, much the same as last few days. 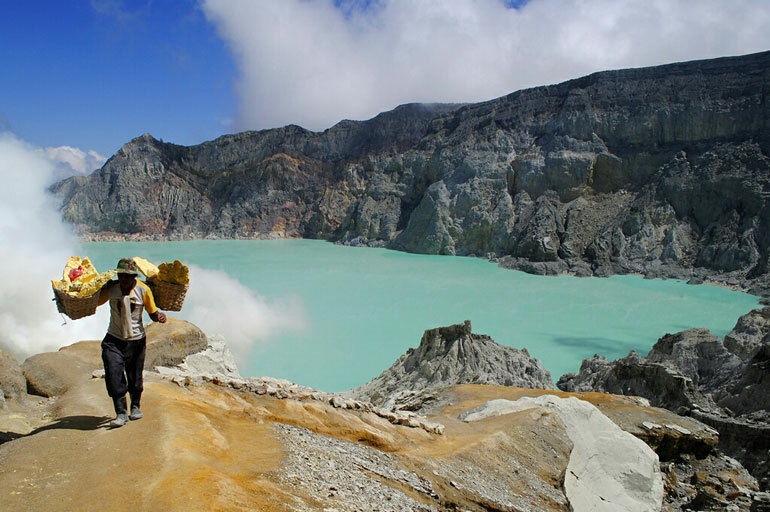 The Main Crater produces moderate to strong emissions of white water vapour clouds, rising to less than 100m before being blown to the E-SE. Other summit vents were obscured by emissions from the Main Crater. A continuous white steam plume is rising from the SE Coastal Vent to 400 m above the island and is then blown to the E-SE. Bad weather over last 24 hours , the lava dome was hard to observe due to the weather. Ash plume: Mainly steam with minor ash is being emitted and is being blown to the E-SE. The plume extends for a few tens of kilometers. Areas affected by ash fall: Downwind areas are affected by light haze. Seismicity: Seismicity is described as Low to Moderate. Other monitoring: The situation is also being monitored by various satellite techniques. Sulfur Dioxide (S02) gases are being emitted from the volcano. Prognosis: Continuing strong SO2 emissions, the continued seismicity and the ongoing eruptive activity would indicate that the situation is still dynamic, but has settled into a reasonable stable situation. There is a slight possibility that small tsunamis may be generated, but the situation is stabilizing. Risk: On the Island, High. On the Mainland and other nearby Island, A small risk of tsunamis. Issued: January 27 , 2018. 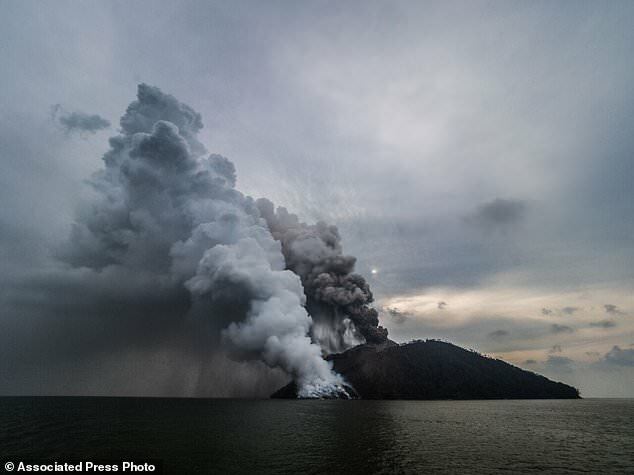 According to satellite data, a moderate ash explosion sent ash up to 5 km a.s.l., ash plume drifted about 80 km to the north-east from the volcano. 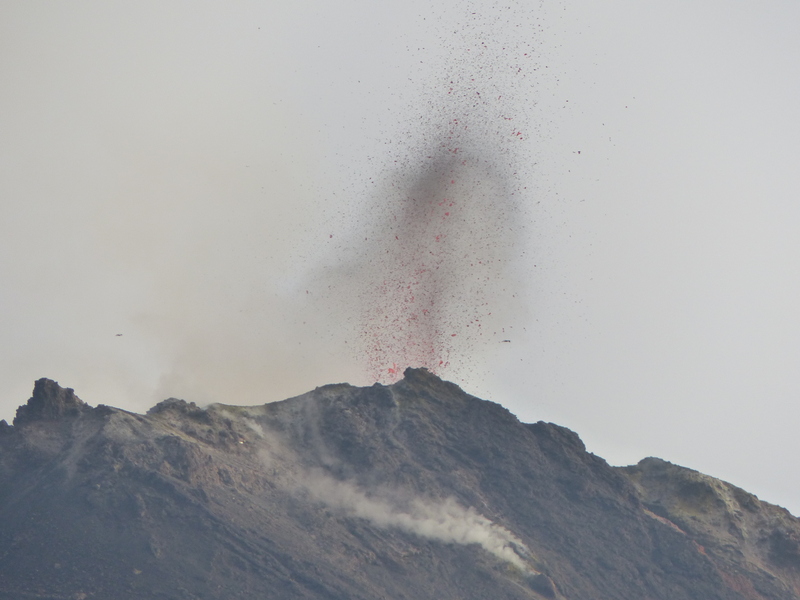 A moderate eruptive activity of the volcano continues. Ash explosions up to 16,400-19,700 ft (5-6 km) a.s.l. could occur at any time. Ongoing activity could affect low-flying aircraft. 28 Janvier 2018. FR . 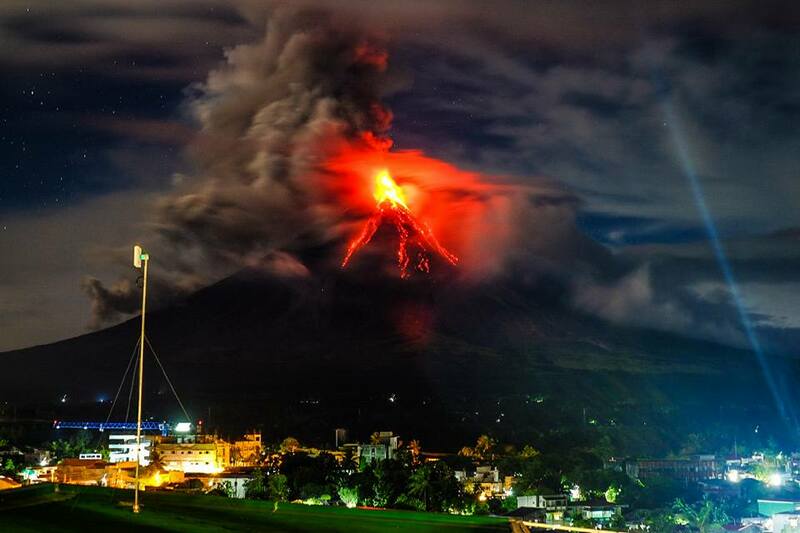 Kilauea , Mayon , Colima , Sinabung .